Have you ever noticed how fast summer break flies by? It feels like school just got out and before you know it, every commercial you see pertains to back-to-school sales and no matter what store you go into, you always manage to see an abundance of back-to-school supplies. Some parents love the idea of school being back in session, but let’s face it, no one really enjoys the stress of having to buy all of those supplies that go along with it! The lists seem to get longer every year and the options to choose from on certain supplies can feel a bit overwhelming, to say the least. Shopping for school backpacks can be no different, but it doesn’t have to be. Shopping for a new backpack doesn’t have to be overwhelming and stressful. If you keep certain key factors in mind, finding that perfect one that fits your needs will be a breeze. One of the first things you want to keep in mind is the overall purpose of the backpack. Are you looking to haul around heavy school books? If you answered yes, then you will definitely want to look for a product that offers durability and most likely some type of extra padding to help with overall comfort. Are you looking to haul a laptop or iPad around? If so, then you will want to look into a product that offers a laptop compartment, so you know that your device will be protected. Keeping key factors like this in mind will help you stay focused while shopping. 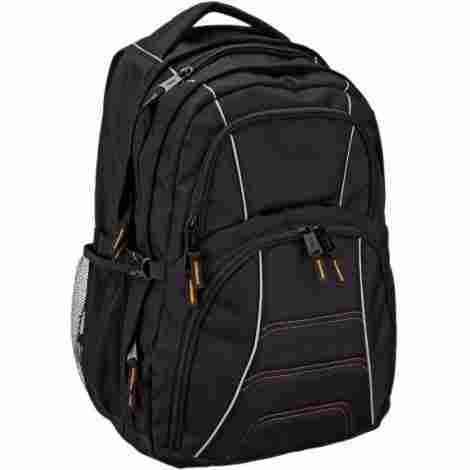 Below is a list of the best 10 school backpacks that keep these factors in mind. If you are looking for a product that can carry anything from a laptop to books, and anything in between, then this is the perfect choice for you! Made from a strong, yet soft nylon fabric, this product can hold laptops ranging from 13” all the way to 17” and the extra padded shoulders make carrying heavier items a breeze. Equipped with metal zippers and a combination lock, you can rest assured that your items will remain safe and secure no matter where you are! This product comes with the convenience of multiple compartments, so you can carry pretty much all of your basics needs for school. With 3 main compartments for larger items, like a laptop and books, 9 smaller compartments for items, such as a calculator and phone, and 2 side pockets for pens and pencils, you can have everything you need fit into one bag! This product is made from a strong, nylon fabric. Nylon is known for its durability and its ability to stretch without losing shape. It is also water-resistant and has extra padding on the shoulder straps, so you don’t have to deal with that annoying irritation from carrying around those heavy books and computer. In comparison to other backpacks on this list, this one falls into the average price range, which is great news for you. Considering the fact that you are getting a durable product made from a nylon fabric that contains enough compartments to fit your computer and your books, is equipped with extra padding in the shoulders to maximize comfort, has a combination lock to keep your items safe, and comes in a variety of colors to choose from, you are getting a high-quality product for a price that you can’t walk away from! This product was designed with the ultimate storage in mind. This backpack contains multiple compartments for the ultimate storage space. You can fit laptops up to 17”, books, folders, and so much more. It contains side compartments for smaller items, such as pencils, pens, and even your cell phone. It is also equipped with a mesh pocket that can hold your water bottle. Made with padded shoulders for ease and comfort, this product sure aims to please! This product offers a whole array of compartments to fit your back-to-school needs. Equipped with a compartment large enough to fit a 17” laptop, other large compartments to fit books and folders, and smaller compartments to carry pencils, a calculator, cell phones, and even a water bottle, you will be happy that you made this choice! Tired of dealing with sore, painful shoulders that are irritated by uncomfortable material rubbing constantly? That won’t be an issue with this product. Equipped with padded shoulders, you can carry this backpack from class to class and not have to deal with unnecessary rubbing or chafing. When compared to other backpacks on this list, this one falls into the average price range. 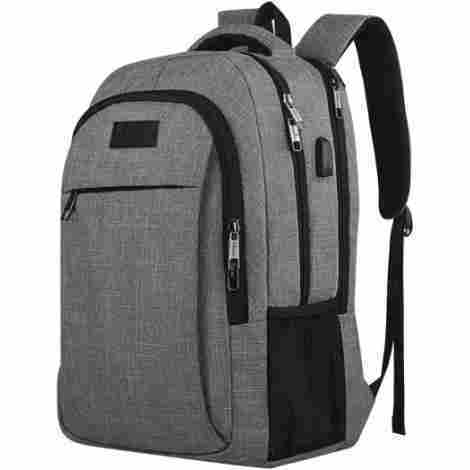 Given the fact that you are getting a durable, multi-compartment product that can hold up to a 17” laptop along with various books and folders, contains smaller pockets for smaller items, has a mesh side pocket for a water bottle, and is equipped with padded shoulders for added comfort, you are getting an amazing deal on a great product! If you are looking for a traditional style backpack that offers comfortability and durability, then this is the one for you! Made from a durable polyester, this product offers one main compartment for books and binders and a front compartment for your smaller items. Equipped with extra padding in the shoulders, you can bet lugging this product around will be a breeze and your shoulders will be thanking you! Looking for a simple backpack that can carry the basics? Then this is a perfect choice. This product contains one main compartment that can hold up to 3 school books, along with folders and binders. It also contains a smaller pouch in the front that has a zipper to keep your smaller items secure. This product was made with durability in mind. Made from a 600-denier polyester, which is known for its strength and durability, you can bet that this product was made to last. It also contains extra padding in the shoulders to help with overall comfort as you are walking from class to class. In comparison to other backpacks on this list, this one falls into the average price range. This is great news for you because you are getting a durable product made from 600-denier polyester that contains one main compartment large enough to fit up to 3 school books along with folders, a smaller zippered pouch in the front for pencils and pens, and padded shoulders for extra added comfort. With this kind of high-quality, you really can’t go wrong. This product was made with durability and capacity in mind. Equipped with larger compartments, this multi-compartment backpack offers numerous areas to store your school items. Each compartment has a zipper to help keep your items safe and secure and it also has side straps that are adjustable as well. Coming in a whole array of colors to choose from, you are bound to find the perfect one that fits your needs. Are you a person who has a lot of stuff you like to take along with you, but can never seem to fit it all in one bag? Well, that won’t be an issue with this product. 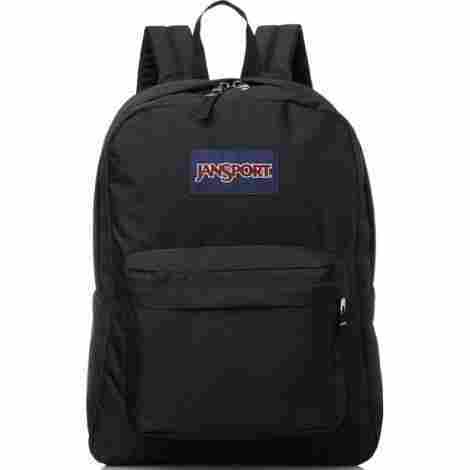 Equipped with 4 larger compartments that can hold larger items, such as school books and binders, and 6 smaller compartments, including side pockets, for smaller items like calculators and water bottles, you will have plenty of room with this product. With the overall size of this product and the number of items it can carry, it has to be made to be extra durable. Made from a strong polyester, you won’t have to worry about this product ripping or breaking! It also contains adjustable side straps to help you feel your best while you are carrying heavy loads. 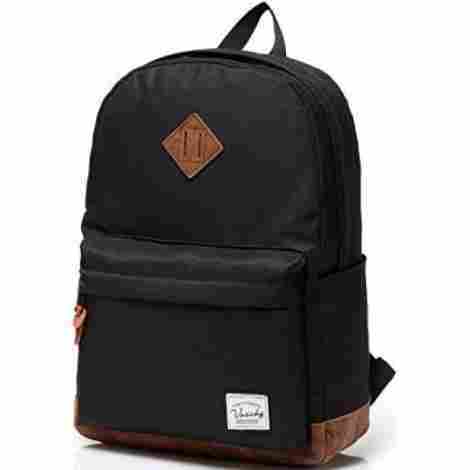 When you compare this backpack to others on this list, this one is a little bit more expensive. If you consider the fact that you are getting a large, durable product made from polyester that has multiple different compartments for storage, and comes in a wide variety of colors and patterns to choose from, you are getting a high-quality product for a price that you can’t say no to! 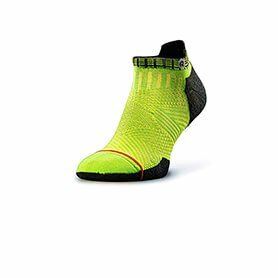 If you are looking for a product that was specifically designed for comfort and functionality, then this is the perfect fit for you! This product is made from a strong polyester that is equipped with extra padding in the back and shoulders with ventilation, for added comfort and breathability. Large enough to hold a 15” laptop and offers a built-in USB port, this product takes functionality to a whole new level. Available in 6 different color choices, you are sure to find the perfect one for you! This product was design with overall comfort in mind. Not only do the back and shoulders have extra padding, but the back is also equipped with ventilation, which makes this one comfortable, breathable product that will leave you feeling comfortable no matter how long you are wearing it! Not only does this product have its very own compartment for a laptop, but it also contains various compartments for virtually anything other school supplies, such as notebooks, school books, calculators, and folders. Each of these compartments can be closed with a zipper and it even has a secret hidden compartment for valuables like your wallet and cell phone. Looking for a spacious and comfortable backpack that won’t empty your wallet? Then this is the ideal choice for you. When compared to other backpacks on this list, this one falls into the average price range depending on the color you choose. Given the fact that you are getting a high-quality product made from a strong polyester, a spacious design with multiple compartments comes equipped with extra padding that is ventilated for ultimate comfort, and comes in a variety of colors to choose from, you are getting a great deal on an amazing product! If you are in the market for a durable, water-resistant backpack, then look no further because this is the perfect option for you! Made from a strong polyester, this lightweight product has a total of 4 inside pockets, one of which can hold a 14” laptop, and a reinforced bottom so you don’t have to worry about damaging your device. With extra padding in the shoulders and a wide variety of colors to choose from, this product sure aims to please! There is nothing worse than loading up your school bag with your laptop, just to end up spilling water on it or getting stuck walking in the rain and just like that your laptop is ruined! You won’t have to worry about that issue with this product because it is water-resistant! No more having to replace expensive devices due to water damage! This product focuses a lot on keeping your books and devices protected. It is equipped with a reinforced bottom, so you don’t have to worry about ruining your laptop or other devices when placing this backpack on the floor or from it getting bumped around! In comparison to other backpacks on this list, this one falls into the average price range. Considering the fact that this product is made from a strong polyester that is water resistant, has a reinforced bottom that helps keep your items protected, is equipped with extra padding in the shoulder straps for added comfort, can fit up to a 14” laptop, and comes in a variety of colors to choose from, you are getting a high-quality, durable product for an amazing price! Are you tired of wasting money on backpacks that fall apart within months of use? This product is the answer to your problems! Made from a durable polyester, this water-resistant product offers a tear-resistant bottom and extra padding along the straps for added comfort. Built with functionality in mind, this product also fits laptops up to 15” and contains 4 other pockets for added storage space. Available in a whole array of colors, you are bound to find one that is a perfect fit for you! This product was designed with the ultimate comfort and protection in mind. It is not only equipped with extra padding in the shoulders, but it also has soft padding in the laptop compartment, so you don’t have to worry about hurting yourself or your device! This product was also designed to be water-resistant. There is nothing worse than getting your backpack wet and ruining your laptop in the process. That won’t be an issue with this product because it was designed to prevent water damage from occurring, so your devices will stay safe and dry. When you compare this backpack to other backpacks on this list, this one falls into the more expensive category, but don’t let the price scare you off! Keep in mind that you are getting a high-quality product made from a strong polyester that is water-resistant, is equipped with padded shoulders for added comfort, a soft-padded lining to help protect your devices, 2 pockets for water bottles, a tear-resistant bottom, and comes in a variety of colors to choose from, so you are getting an amazingly durable product for a decent price. Step out in style with this uniquely designed backpack. Made from polyester, this lightweight product offers multiple compartments, including one that holds a laptop, one that holds other supplies like books, and water bottles holders. Backed by a 12-month manufacturer warranty and coming in a variety of fun patterns, you will definitely stand out in a crowd with this product! This product was designed with capacity in mind. Equipped with a laptop compartment, a compartment for your books and folders, water bottle holders, and a smaller pocket in the front for smaller items, such as pencils, pens, and a calculator, this product was made for the everyday hauling of school supplies. This product was made with durability in mind. Made from 100% polyester, this product is made to withstand the everyday wear and tear of lugging heavy school books without having to worry about it breaking. If you are looking to find a durable backpack that won’t break your budget, then this is the one for you. When you compare this backpack to other ones on this list, this one falls into the less expensive price range, which is great news! Given the fact that you are getting a spacious, durable product made from polyester, contains multiple compartments including one for a laptop, comes in a variety of unique designs, and is all backed by a 12-month manufacturer warranty, you are getting an incredible product for an amazing deal. If you are looking for a great deal on a backpack that is 3-in-one, then this is perfect for you. Made from a durable canvas material, this product comes with a backpack large enough to hold a 15” laptop, a smaller messenger bag, and a smaller purse. The backpack is equipped with padded shoulder straps for extra comfort and also has padding in the laptop compartment for protection. Coming in a variety of different colors and patterns, you are sure to find one that fits your style. Tired of having to purchase multiple items just to get everything that you are looking for? You won’t have to worry about that when you purchase this product because it comes with 3 different bags. You get a larger backpack that can hold up to a 15” laptop, a messenger bag that can fit smaller items, such as a wallet, and a smaller purse. This product was made with the ultimate comfort in mind. Designed with extra padding in the shoulder straps, you won’t have to worry about getting chafing and irritation while carrying this bag. It is also equipped with extra padding in the laptop compartment, so it keeps your devices safe as well. Looking for a product that focuses on space, comfort, and functionality that won’t put a huge dent in your wallet? Then this is the ideal choice for you. 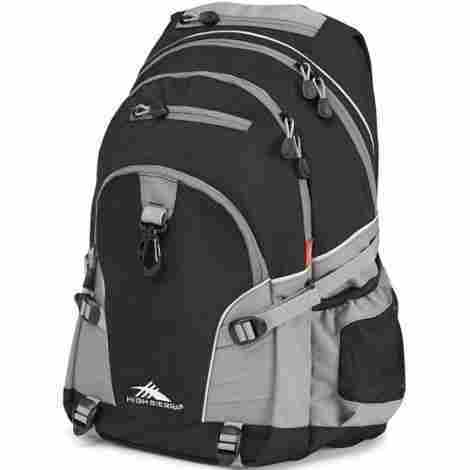 When compared to other backpacks on this list, this one falls into the less expensive category. Considering that you are getting a 3-in-1 product made from a strong, durable canvas material, offers enough space in the larger bag for a 15” laptop, has extra padding in the shoulder pads for added comfort, and comes in a variety of different styles, this is one deal that you can’t pass up! Made from 100% nylon fabric, this product was built to last. Not only was this designed for durability, but it is also water-resistant as well. Equipped with a compartment designed for a laptop and adjustable straps, you can bet that you will get plenty of use from this product. Available in a variety of colors to choose from, you are sure to find something for even the pickiest of shoppers! Made from a strong, durable nylon, this product was designed to last. Nylon is not only known for its strength, but it is also known to be able to stretch without losing its shape and for being waterproof, so you don’t have to worry about this product falling apart after normal wear and tear. This product was also made with comfort in mind. It is equipped with adjustable straps that can adjust according to comfort level, helping to eliminate any unnecessary stress on the shoulders. The straps are also padded for added comfort, so carrying around heavy loads won’t be a problem. If you are looking for a durable and comfortable product that won’t put a huge dent in your budget, then this is the ideal choice for you! 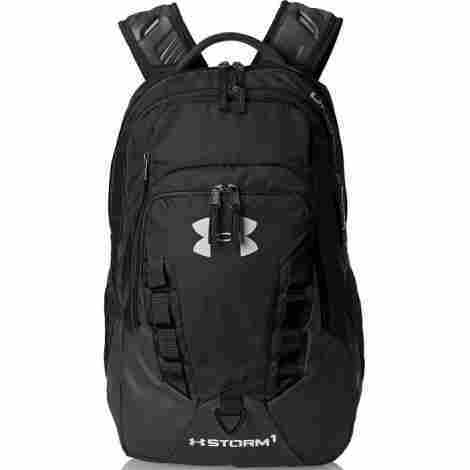 In comparison to other backpacks on this list, this one falls into the less expensive price range. 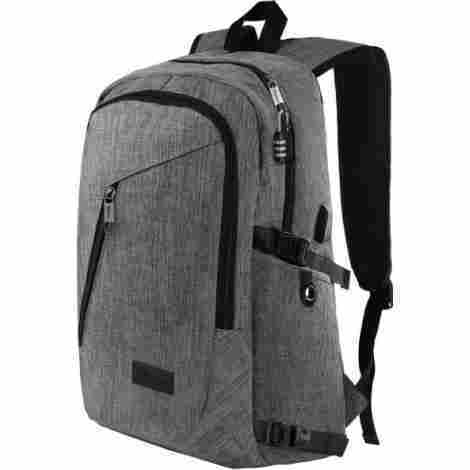 Given the fact that you are getting a high-quality product made from a durable nylon that offers water-resistant capabilities, has adjustable shoulder straps that have extra padding for added comfort, has the ability to hold a laptop, and comes in a variety of colors to choose from, you are getting an amazing deal on a fantastic product! After looking at this list, you can see that there are a few different options that you can choose from when it comes to school backpacks these days. When shopping for a new backpack, it is important to keep in mind what you primarily plan on using it for. If you are looking to carry around a laptop, then you will likely want to look for a product that not only has a special compartment for such a device but also look for something that has a special lining or extra padding in that compartment to help protect your device. Comfort is also an important factor to keep in mind, after all, the purpose of a backpack is to carry around all of your school items, so you are going to want to be comfortable. As long as you keep key points like this in mind, you will be on the right path to finding the perfect backpack that fits your specific needs. 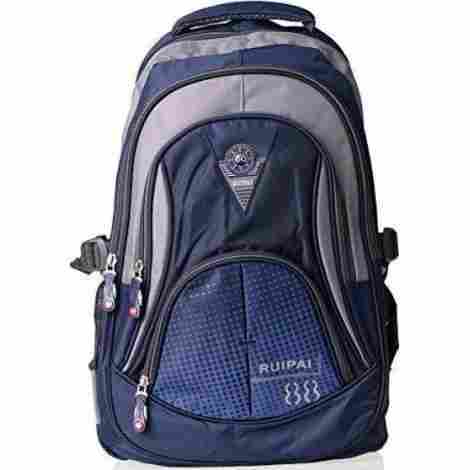 The material that is used to make backpacks plays an important role in the overall quality of the backpack. The last thing you want is to buy a product that falls apart within the first few uses, especially if you are carrying around an expensive laptop. There are a few different materials that are used to make backpacks and each of them has their own unique qualities to them. Polyester is one of the most common materials used. Polyester is known for its durability and strength, which is why it is so commonly used in products like this. It is also known for having the ability to repel water, so most of the products made from this material offer water-resistant capabilities. This is especially important if you plan on carrying around devices that will get ruined if they get wet. Nylon is another material that is commonly used. This material is not only known for its strength, but it is also known for its ability to stretch without breaking or losing its shape. This is a great quality to have, especially if you are carrying around heavy school books. You wouldn’t want your bag to break from a heavy load. Another material that is used to make backpacks, although not as common as polyester and nylon, is canvas. Canvas material is known for its overall strength and durability. This type of material is often used when making products like tents, so you know that a product that is made from canvas is made to last. The size of the backpack is another important factor to keep in mind. The last thing you want is to purchase a product that was made for an adult and expect your young child to be able to lug it around. You will also want to make sure that the backpack sits right on the waist or a little higher so your child can carry the bag without hurting their back. A lot of backpacks come with adjustable straps to help with this issue. The size of the laptop compartment and other compartments is also important. If you have a 15” laptop you are not going to have much luck purchasing a product that only fits a 14” laptop. Most products have these specific measurements listed in the product details or on the tag that offers information about the product. If you have a laptop that you plan on carrying around in your new bag, then it is important that you make sure it is equipped for just that. Sure, you can fit most laptops in any ordinary bag, but not all of them are designed to carry and protect your device. Looking for a product that offers a strap that holds your device in place and has extra padding to help protect your device is imperative. It is also important to make sure that it is not only waterproof but that it has a padded or reinforced bottom, so it can tolerate the day-to-day wear and tear without harming your device. Overall comfort is very important when it comes to shopping for the perfect bag. You will be spending many hours a week lugging your supplies from one class to another, so it is important that you remain as comfortable as possible. Finding a product that offers extra padding in the shoulders would be ideal. There are also products out there that not only offer padded shoulder straps but also have padding on the back, so you can feel extra comfortable. Finding a product that is water-resistant is another important factor to keep in mind as well. Sure, we don’t ever actually plan on getting our backpacks wet, but things happen. Beverages get spilled, rain storms happen, and snow melts after falling off of shoes, leaving huge puddles everywhere you look. Having a water-resistant product will help ensure that your devices and school books are safe and secure, giving you peace of mind and giving one less excuse for your kids to use as far as why they didn’t do their homework! As with anything you buy, the cost of the product is always important. It is no different when you are shopping for a new backpack. You obviously want to make sure that you are getting your money’s worth and that the product will last throughout the school year. 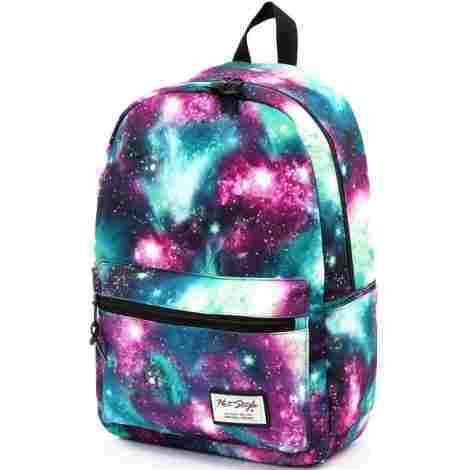 The price of backpacks can vary a lot depending on the material that it is made from, the number of compartments it offers, whether it has extra padding, and whether or not it is built to carry a laptop or other devices. For example, a backpack that offers extra padding in the shoulder straps and back may cost a little bit more than one that doesn’t. A product that is made with a special padded compartment for a laptop may cost more than one that doesn’t. Q: How do I determine what size backpack to get? A: One of the most important aspects of buying a backpack is making sure that the size is going to fit all of your supplies. Most products include inside dimensions to help you determine whether or not it will suit your needs. If you are planning on using the backpack to haul a laptop, then you will want to make sure that the product you buy will fit the size computer you have. If you are not sure the actual size of your laptop, a quick measurement is all it takes. Q: Are all backpacks waterproof? A: No, not all backpacks are made to be waterproof. The water-resistant capabilities really depend on the type of material that the product is made of. If you are looking for one that is able to keep your devices safe, then it is important to read the product information prior to purchasing. Q: What is the best backpack option for a child? A: When it comes to choosing a backpack for a child, you will most certainly want to keep size and comfort in mind. Depending on the age of the child, you don’t want to pick one that is too big because then it just becomes awkward and difficult for the child to carry. Finding one that offers adjustable straps is a great choice because it can be adjusted to your child’s size and can grow along with your child. It may also be a good idea to find a product that offers extra padding in the shoulder straps, so your child won’t be sore from hauling their supplies around.